Patients with Type II diabetes may have heard of Invokana, a fairly new prescription medication that promises blood glucose regulation; it has become extremely popular, and sales are expected to soon top $500 million a year. Invokana works to lower blood sugar levels by pushing glucose (along with sodium) out of the body through the urine stream. To be sure, it has many patients excited at the prospect of living easier, healthier lives, but new information suggests that while patients that take it may see positive results in regulating their blood glucose, they may also experience other very serious, life-threatening health problems. Because of those problems that the drug manufacturer (Janssen Pharmaceuticals) failed to warn patients about, some patients that experienced negative side effects (or their surviving family members) have filed lawsuits against the company. Always keep your doctor informed about any prescription and over-the-counter medications you have taken or continue to take. This is particularly important if you are or ever have taken Invokana or any other drug with canagliflozin, as it could have very serious damaging effects. Many drugs have negative side effects, but in the case of Invokana (also referred to by its generic name, canagliflozin), lawsuits allege that the pharmaceutical company failed to conduct adequate research before allowing the drug to be dispensed to the public. Patients and their doctors were not informed of these negative side effects because they were only discovered after some early users reported their adverse effects. If Janssen Pharmaceuticals had done their due diligence, many of these serious conditions and deaths could easily have been avoided. Thus, negligence is the basis for the many lawsuits against the company. In 2015, the FDA made two warnings regarding the side effects of Invokana: The first warned of the risk of ketoacidosis, a condition which, left untreated, a patient’s blood acid can turn toxic and cause a patient’s untimely death. The second warning, released in September, outlined the risk of diminished bone density and the associated risk of bone fractures among diabetic patients that had taken Invokana. Further, according to results of some studies, users of Invokana have a significantly higher risk of amputation. If you are a diabetic patient, you are probably already aware of the risk of infections in your extremities, particularly your legs and feet. If you have used Invokana at any point, always make sure to let your doctor know about any pain or infections (including sores and ulcers) on your legs or feet. Although the FDA has approved Invokana for patients with Type II diabetes, researchers are currently trying to find whether there is a link between its use and the suggested related cardiovascular risks (including heart attack and stroke); some doctors question its use, and say that its higher cost and relatively lower effectiveness make it a much less desirable, usable drug than older drugs with fewer negative side effects. If you have taken Invokana to regulate your blood glucose levels, and subsequently suffered any of the negative side effects mentioned above, you may be eligible to file a lawsuit against Janssen Pharmaceuticals – and the sooner you do it, the better. Pharmaceutical companies like Janssen Pharmaceuticals (a Johnson & Johnson subsidiary company) make millions every year selling prescription medications to the patients who so desperately require the assistance of these sometimes-miracle drugs. Regardless of what the drug is intended to treat, millions of patients count on these life-changing and -saving drugs to help them live normal lives. It’s only right, then, that these companies should conduct research sufficient to declare with at least some level of certainty whether or not a particular medication is safe for doctors to prescribe, and safe for patients to consume. For their failure to thoroughly study the effects of Invokana, Janssen unwittingly (and some might infer uncaringly) put way too many Americans at risk of these horrible side effects. Their failure to provide doctors and patients with enough information has resulted in the realization of too many cases of unnecessary hospitalizations, emergency room visits, and amputations. Invokana was designed to help diabetic patients live happier, healthier, fuller lives, but that didn’t turn out as intended; Janssen Pharmaceuticals and Johnson & Johnson should have made patients aware of the potential side effects of taking their medication. If you have had any part of your feet or legs amputated after you used this medication, you have the right to ask for compensation for your losses that resulted from the negligent actions of this company. If you have experienced any of these things after you took Invokana, you should talk to an attorney in St. Louis today. 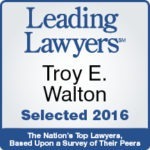 Call (844) 307-7349 to schedule a free no-obligation consultation with one of the attorneys at Walton Telken today. We believe that we can get you compensation for your losses caused by the negligence of Janssen Pharmaceuticals. Call today to find out more about your rights and what course of action you prefer to take in order to seek the compensation you deserve.